Wollborg Michelson is working in partnership with a technology solution provider in Livermore, CA, who is seeking a temporary Customer Service Representative. This position will interact with customers and handle questions, process orders/open tickets, and provide information about the organization’s products and services. Qualifications include good communication, problem-solving, and computer skills. 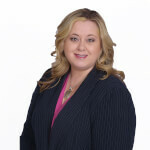 Julie is an experienced staffing professional with over 15 years in the staffing and recruiting industry. Skilled in Sales, Contact Centers, Management, CRM systems, and Interviewing. Strong sales professional with an IT Solutions focus in Telecommunications from University of Phoenix. Julie is a native Californian who was born and raised in the Bay Area. In her spare time she enjoys wine tasting, road trips, and sharing laughs with family and friends.